Yesterday, Kogan.com announced it's entering the convertible laptop market with the Kogan Atlas 13-inch C300 Convertible Notebook. Neato! HP has shown off what it calls the "next generation of personal computing" for the Australian market at CES2018, unveiling the Spectre x360 15 convertible PC and the Envy x2 to bolster its current lineup. 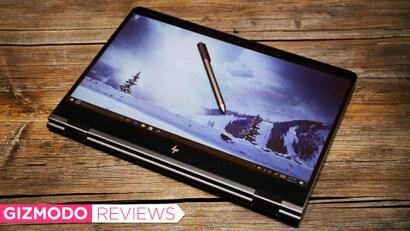 After spending some time with HP's redesigned 15-inch Spectre x360, it seems to me the company's recipe for clawing its way back into the hearts of the people should have been obvious all along: lots of power and features in an attractive package for less money than the competition. Duh.